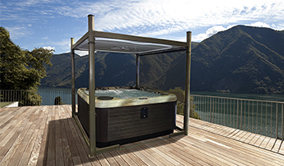 The Covana Evolution Automated Hot Tub Cover offers a wide range of solutions as it is compatible with square hot tubs from 7′ to 8′ and rectangular units from 8′ x 9′ to 8′ x 11′ and also for the first time, an automatic solution for round hot tubs up to 8′. The Evolution‘s refined design gives it a sleek and streamlined look while its adjustable size offers the greatest range of possibilities to fit larger hot tubs. We are proud to make elegance, security and ease-of-use available to you to make your spa experience a unique one! 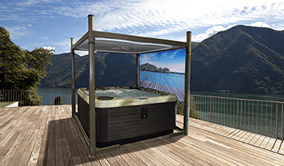 The COVANA requires a dedicated 115V (230V*) permanently connected (hard wired) power supply. The COVANA motor has a dedicated connection for 115V (230V*), please see enclosed connection diagram. 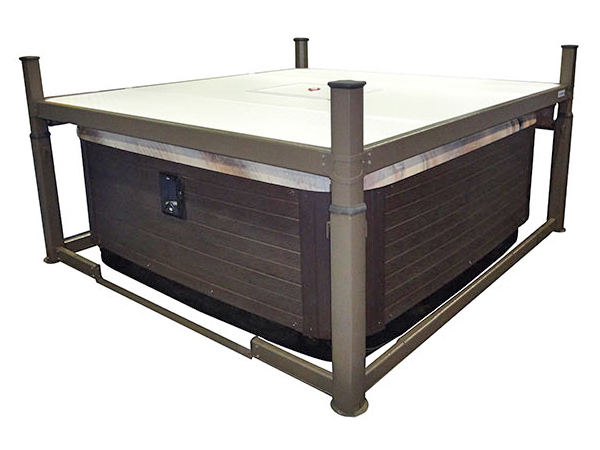 The COVANA must be installed in accordance to and comply to any local codes and regulations. All wiring should be installed by a qualified electrician. 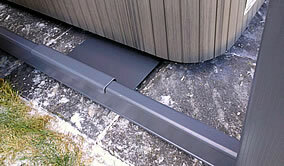 Wire and conduit should be sized as per local codes and regulations. 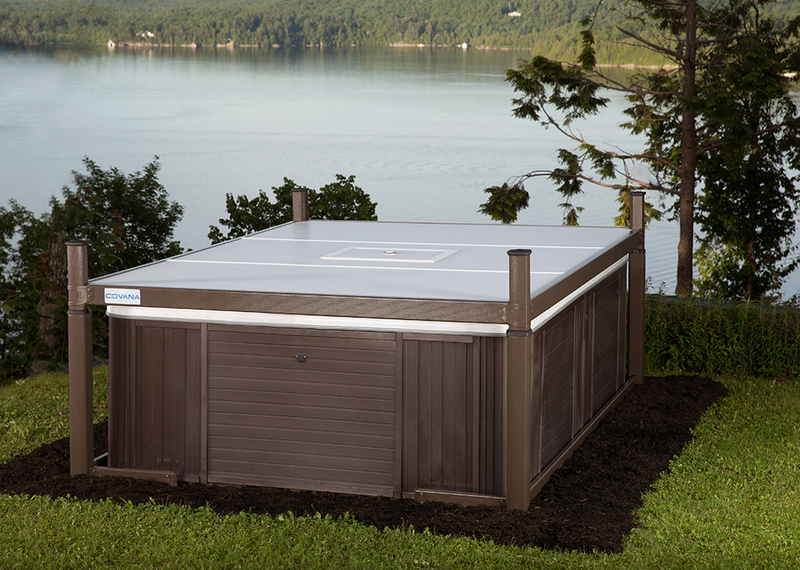 The electrical circuit for the COVANA must include a suitable ground fault interrupter (GFCI) as required to comply to codes and regulations. 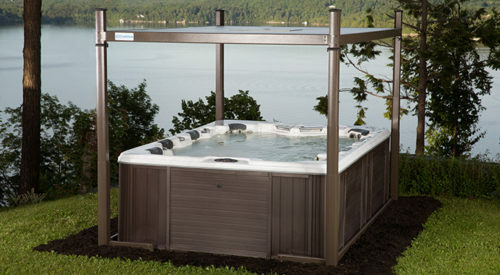 GET AN ON-LINE ESTIMATE FOR THE POOL OF YOUR DREAMS! 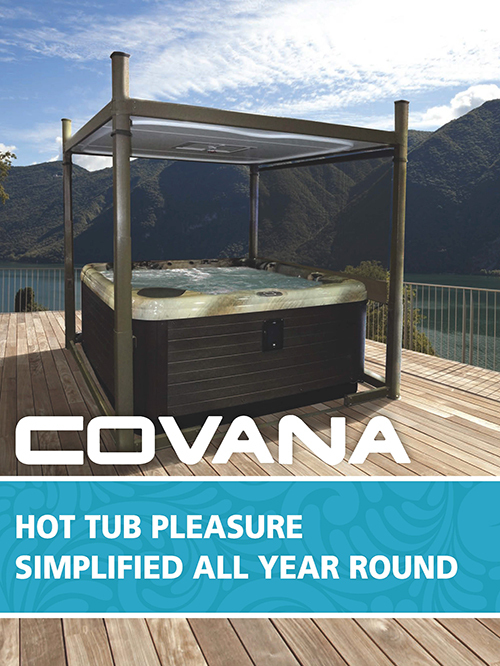 Covana systems are more than just hot tub covers. They are also completely automated gazebos which offer you maximum comfort, safety and intimacy. 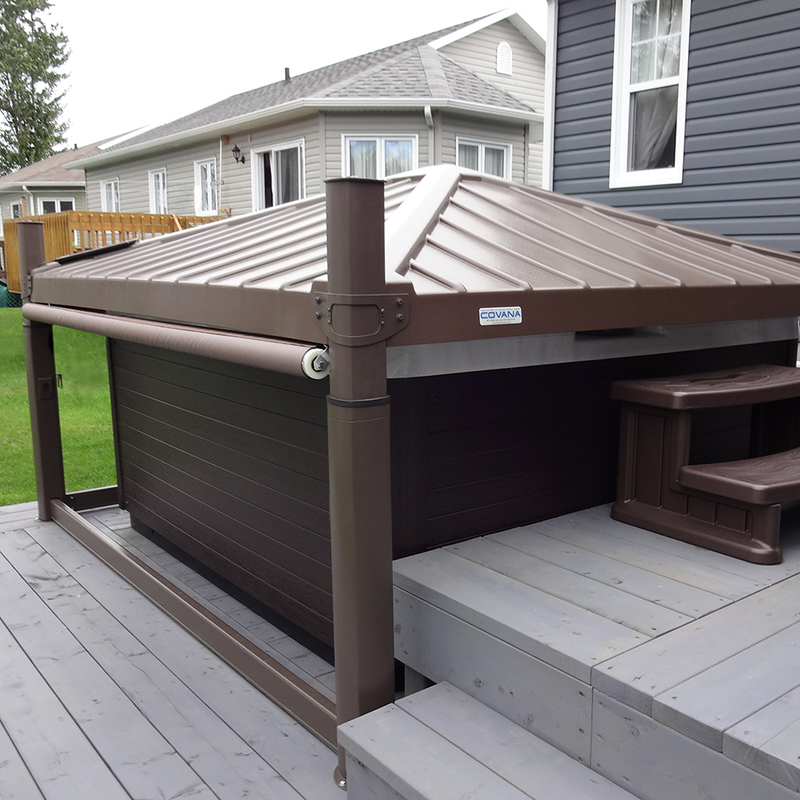 Made in Canada using the latest, state-of-the-art materials, our products are designed to endure the most rigorous climates while saving you money. 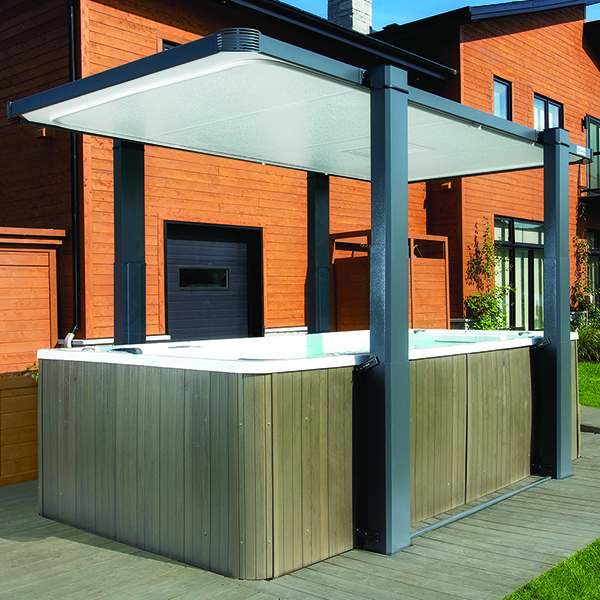 Come and visit us at 760 Century Street to see the Covana Hot Tub Cover in action!